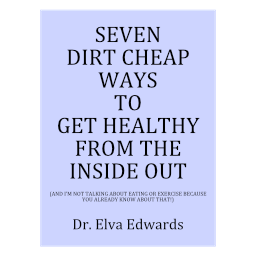 Education – Dr. Elva Edwards, D.C.
Who was saying that we should eat low fat diets? Conventional medicine. Who was saying that women should take premarin for menopause? Conventional medicine. And how many doctor’s photos did you see in advertisements in magazines in the 50’s and 60’s smoking their favorite brand? And the President of the American Heart Association just had a heart attack following the diet they suggest. If they give 100 people a statin, 1 person will be helped. Thirty to forty people will be harmed. This is the practice of conventional medicine. You probably know that I do not like pesticides, herbicides or GMO’s in my food. If you have taken advantage of watching the video series “GMO’s Revealed,” I’m sure you are learning information that will serve your better health. Mike Adams, known as The Health Ranger, was interviewed in the “GMO Revealed” series. He informed that a device is being created that you can tale to the grocery store with you. It will be small. similar to a cell phone. You point the device toward a food and it will display how much glyphosate (round-up) is in the food. Only then will you be able to truly decide what you put in your mouth. He thinks that Monsanto will end up like the tobacco industry. Tobacco companies, for years, said smoking did not cause a negative effect on your health, just as Monsanto is saying today. However, through court cases and discovery, their own research is revealing that they have known how bad Round Up is for our health. 40 other countries have outlawed GMO’s. In the US, we outlawed labeling GMO’s. How crazy is that? If vaccines and GMO’s are good for you and support our health, the US would be far above all other countries in the health department. But it just isn’t so. The World Health Organization rates the health of the citizens of each country every year. We spend far more than any other country for our health, but we are way down the list in terms of health of our citizens. When will we wake up? It is always a grass roots effort that wakes people up. For the sake of the children we love, let’s be part of the grass roots effort to stop the madness before it is too late to recuperate our health! It is understandable. We throw words around as if everyone knows what we are talking about when, in fact, they do not. Today begins a free video series about GMO’s. Maybe you need more information to really decide if you want to eat GMO’s or not. Will they hurt your children? And how will they hurt you if you eat them? And, how exactly do they hurt you? If you are going to talk intelligently about GMO’s, you need information. I have not seen this series so I do not know what they have to say about GMO’s. As far as I know, this is the first time it has been shown. What a service as they compile all the information together for you to see. That means you can get the information without having to go to the library or comb through pub med. I like being fed information as long as it is honest information. When you have the information, it is clearly up to you to decide to include or exclude GMO’s from our diet. And whether you include them or exclude them in your diet, at least you will be more knowledgeable. It is always more interesting to have a conversation when we know what we are talking about! If you are a “movie night” family, please select this one. I know there are several days of information. Please don’t think if you miss one day, there is no reason to continue watching. That isn’t true. Each video stands on its own. Schools are starting back. It is time for those of us who don’t go to school to get some free education! Listen up!